Estrogen therapy for osteoporosis is a kind of treatment that uses 100 percent real bio-identical injectable medications to replace the missing hormone that depletes with age. When the hormone decreases within the body, this is when we see many ailments beginning to occur, including bones that can become brittle and weaker. Due to the lack of estrogen in the body, bone mineral density can decrease. If it gets too low, this can cause osteoporosis. Partaking in estrogen treatment for osteoporosis and adding this hormone back into the system will help reduce the risk of developing this dangerous disease. Estrogen therapy and osteoporosis have a direct connection. It has been proven by research conducted by some of the best medical institutions and professionals that ERT can eliminate menopausal symptoms. One will not just begin estrogen therapy to prevention osteoporosis without first being tested for low estrogen levels. They must be deficient in this hormone in order to get a prescription to help avoid this condition along with other ailments that can occur. Loss of bone mineral density is not the only symptom of an estrogen deficiency. Estrogen hormone therapy for osteoporosis is intended for women between the ages of 30 to 51. Of course those ages are approximations, as every female is different with varying body chemistry. Many experts have set these age guidelines because this is when therapy for vasomotor symptoms (hot flashes and night sweats), for loss of bone mineral density and cardiovascular issues is most needed, appropriate and effective. It is used for the treatment of early menopausal symptoms in women. This is before menopause begins and possibly before any symptoms of this change of life begin to occur. Experts say that estrogen replacement therapy for osteoporosis at this time is very good idea.It is a proactive technique so no quality of life is ever lost. It is used for the treatment of menopausal symptoms as they occur. When done correctly with the right medications, dosages and medical supervision, the risks are extremely low, while the benefits are extremely positive. It is used for those who cannot get relief from menopausal symptoms in any other way. When women are at a high risk for bone fractures and breaks due to very low bone mineral density, estrogen therapy for osteoporosis can be highly beneficial. Research has proven that estrogen for treatment of osteoporosis can be extremely helpful for those in need. It must be done correctly with the right prescription and dosage of medication(s). 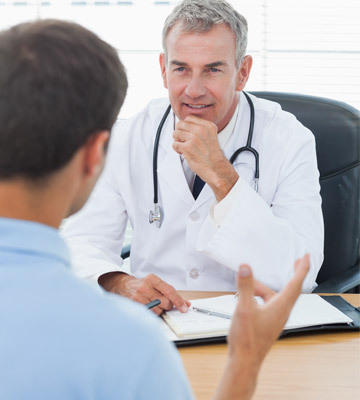 Your doctor will tailor make a treatment plan specifically for your needs. They are able to do this when they read your test results from blood work, your medical history and a physical exam. After a doctor has all of your pertinent medical information, then he or she will be able to create the best plan for your benefit. He or she will also provide medical supervision throughout therapy. Clinical advisors will also be available for help when needed. They will teach healthy lifestyle living and give support throughout therapy. When done properly under the best care, you should start seeing benefits of this treatment very quickly after beginning. The patients of Greenberg Health have been extremely thrilled with their therapy results. Estrogen therapy for postmenopausal osteoporosis or even to avoid the condition to begin with can be truly beneficial. Experts have shard that this kind of therapy can help a few long term health issues that are due to menopause, including the danger of developing osteoporosis and cardiovascular disease (heart attack and stroke). These experts have said that without a doubt, estrogen hormone replacement therapy for osteoporosis can have a very positive influence on the bones of the body. It can help to avoid the health issues that are due to decreased estrogen levels from aging. The most common and helpful benefit of estrogen therapy for osteoporosis is keeping bone fractures in some of the most common places on the body (the hips, the wrists and the spine) from occurring. Experts have shared that over half of the women in the US and nearly a quarter of the men in the US will develop osteoporosis due to aging and weaning hormones in their lifetime. This makes osteoporosis a huge health threat for adults over 30. According to the World Health Organization, osteoporosis is only second in line for being the most common and threatening health problem amongst both men and women. This is why estrogen therapy in osteoporosis is a great benefit for stopping it from occurring or helping it to stop when it does happen by increasing bone mineral density. All advisors are available with legit clinics to help with answers to patient questions and concerns before, during and after estrogen therapy for osteoporosis. They are just a phone call away. In addition, advisors will teach patients about taking care of the body by learning healthy lifestyle habits. These include eating well, sleeping enough, exercising, keeping stress levels low and never smoking. Estrogen therapy is not only for osteoporosis and this is important to understand. A person must have other symptoms from decreased hormone levels in order to qualify for this kind of treatment – and they usually will. The way to avoid side effects from estrogen replacement therapy for osteoporosis is to always work with reputable and known hormone replacement therapy clinics and to always follow your doctor’s prescription. If you feel anything abnormal at any time, you should call you advisor immediately. Problems, if they occur, can be stopped immediately by our doctors. You are always in safe hands when you work with Greenberg Health. Our number one goal is your safety and success.